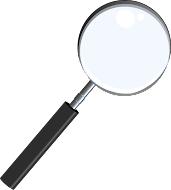 Today I have a first for The Magic Detective Blog, a guest blogger, Dan Robinson aka Weasel Dandaw. Dan is an escape artist from the UK and he has written a great piece about the new book, The Secret Adventures of Harry Houdini Book One. Enjoy! I have just received the Press Pack for The SecretAdventures of Houdini which is to be released on November 21st 2012. 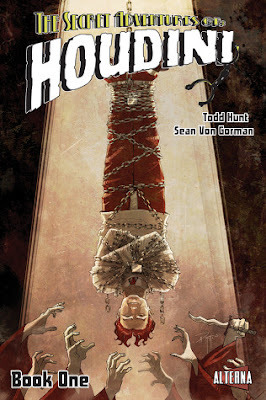 It is written by Todd Hunt, illustrated by Sean Von Gorman & published by Alterna Comics. Firstly, I would like to say that I am not a comic collector in general, but I do have a fair amount of Houdiniana which includes various comics that have there storyline based around Houdini. This is a fantastic read! The book is well produced & the way it’s set out is great. The action starts from the off & continues throughout the book. I love the fact that it is in black & white, as this emphasises the time period in which the story is set. The story is based on Houdini battling the evils of a group trying to bring back the spirit of Cyprian, a character that actually existed in reality in the early third century & his story is included in the back of this book. The book starts with Houdini performing his famous Water Torture Cell escape & through the drawings & dialogue, the tension is built. It then continues in 1913 Copenhagen where Houdini’s strength is demonstrated, something that will become important later in the book. Jump to 1923 New York where the real story begins. Houdini uses his skill as a master of disguise to infiltrate a group trying to bring back Cyprian. I will not go into the full story as I don’t want to spoil it, but I will say….I can’t wait for Book Two!!! Todd has done a great job of mixing factual events with the fictional elements of the story. 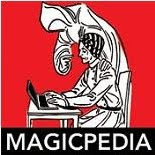 The book includes many facts relating to Houdini’s life including not only his escapes, but also his great dislike of fake mediums & spiritualists. Houdini always wanted to make contact with his deceased mother & even went to a séance with Arthur Conan Doyle & his wife to try. It was at this point that Houdini’s friendship with Doyle was ended. The attention to detail has not been overlooked here either. The séance even includes Doyle’s wife’s spirit writings. Sean’s illustrations are remarkable & really add to the storyline. His attention to detail is also to be commended. There are the little extra touches like fantastic recreations of Houdini’s posters on the outside of the theatre & when Doyle goes to visit an Asylum, Sean has drawn the guard reading the Hound of the Baskervilles. My favourite is a photo of Houdini with his wife & his mother, which is sitting on his dresser. This is so well drawn that it looks like a photo! It’s these touches that add to the illustrations. You need to look for them, but this adds to the book. I love the way Todd & Sean have included various characters from Houdini’s life, including his Mother, Father, his brother (Dash) & his wife (Bess), along with his assistant Jim Collins & Sir Arthur Conan Doyle. As I said above I can’t wait for Book Two!!! So PICK up a copy, UNLOCK the adventure & ESCAPE reality.